With my family visiting this month all the way from Poland, we are travelling farther from home to show them beautiful corners of Pennsylvania. 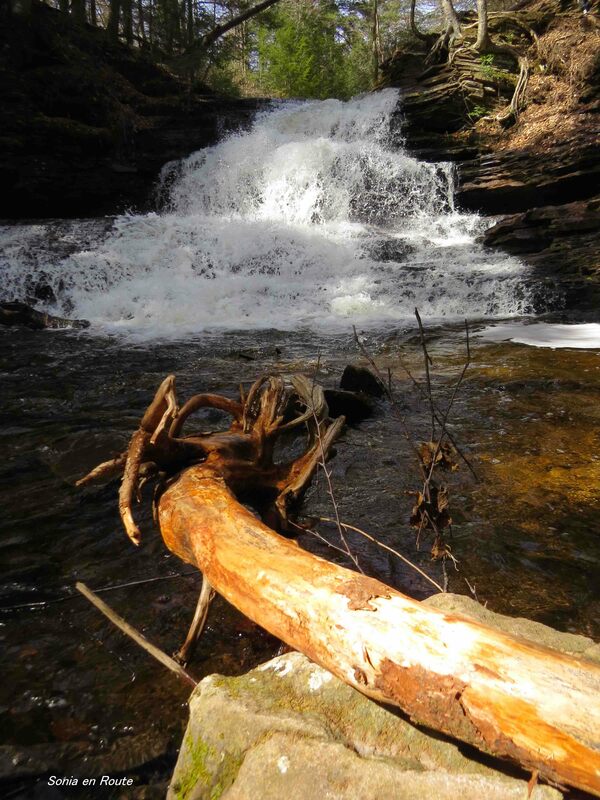 Last Sunday we went to Ricketts Glen State Park near Wilkes-Barre. 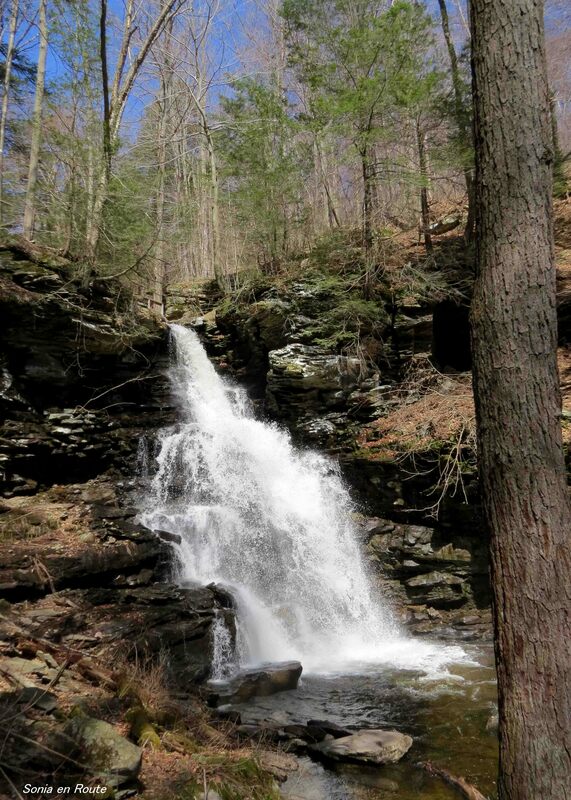 Ricketts is famous for its numerous waterfalls ranging from 11 to 94 feet in height. 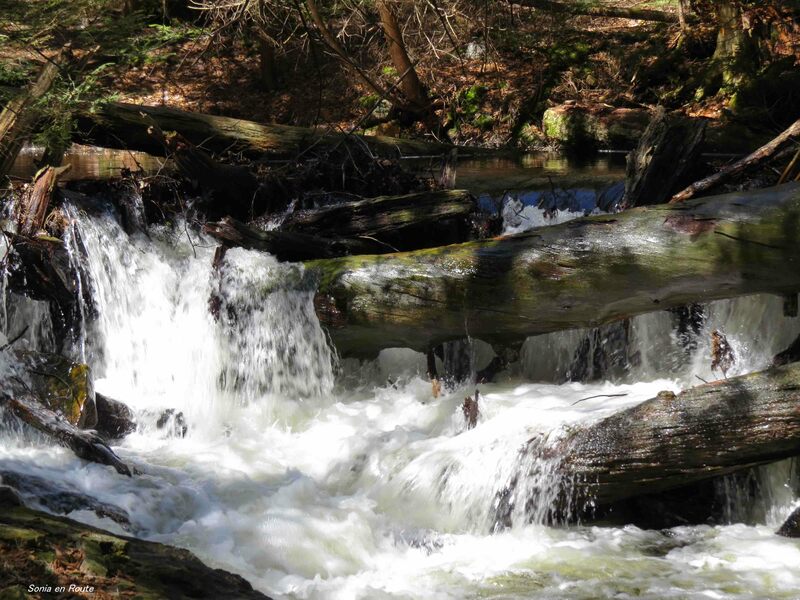 The trail is divided in three segments – for the first part of your journey you are descending and have to turn around to see each waterfall you pass. 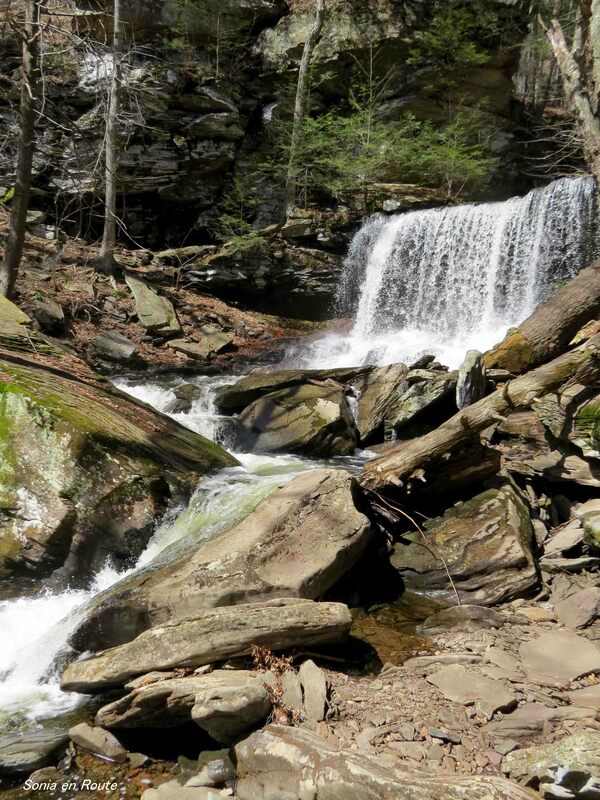 Then the trail crosses the creek and you are going up having the waterfalls in front of you. Couple of hours spent listening to the roar of falling water will be like cleansing to the body and soul. At the end of the trail a person emerges refreshed, with renewed strength to face the world – if somewhat aching in the body, especially the legs 😉 The last part of the trail is a mile-long hike back through the forest. 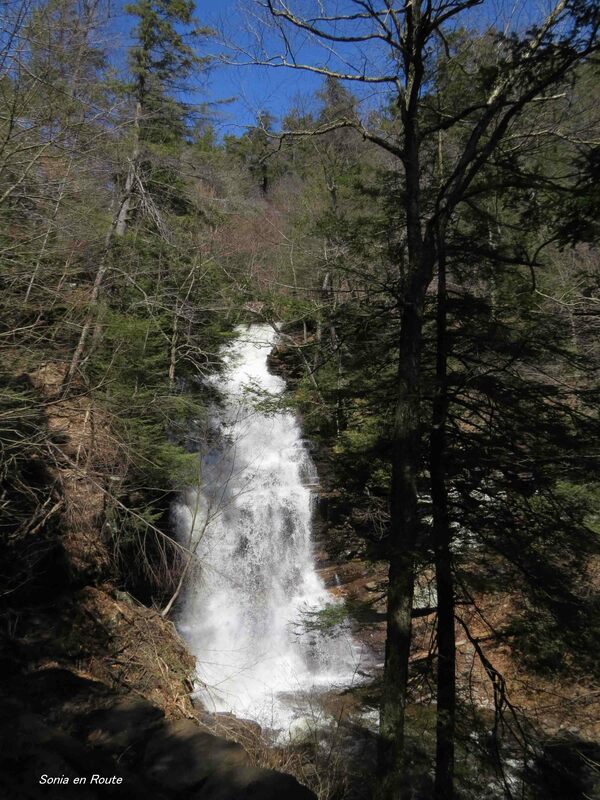 It is a pleasant walk with waterfalls left behind and singing birds and shimmer of the creek for a company. A ja moge sie zabrac? Naprawdę? O, to też by było interesujące.